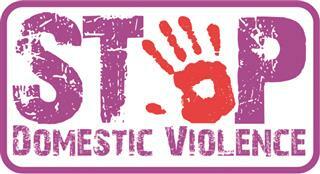 WHA staff will offer support to its residents who are victims of domestic violence. This support may be direct through WHA staff, or through other local agencies that are able to give appropriate support. We can also arrange for counselling through local victim support groups. WHA will adopt a multi-agency approach in dealing with perpetrators of domestic violence against its residents. This will include working with the police and appropriate local authority departments, but may involve other organisations and agencies. Our multi-agency approach is intended to make sure that the full range of civil and criminal remedies can be pursued. We will where appropriate encourage victims to use restraining orders or injunctions to prevent domestic violence or remove the violent person from the household. Abuse can be described as a single or repeated act or lack of appropriate action occurring within any relationship where there is an expectation of trust which causes harm or distress to a vulnerable person. It may be carried out by an individual, a group or an organisation. It is never easy to talk about suspected abuse, but we all have a duty to protect any person who may not be able to act for themselves in these circumstances. It may be the carer and vulnerable adult require a little more support and don’t know who to ask. In this instance the carer may be given some help which might then help them to provide better care for the vulnerable adult. Remember if you ignore the situation now, it is unlikely to go away and may get worse. The local Social Services office/Department or your social worker if you have one. Please see the attached leaflets for further guidance. Alternatively, call us on 01925 246810 or email admin@wha.org.uk if you would like to discuss any of these issues with a member of staff. Domestic abuse affects the whole family. Don’t suffer in silence, talk to someone that can help. In an emergency, always dial 999.